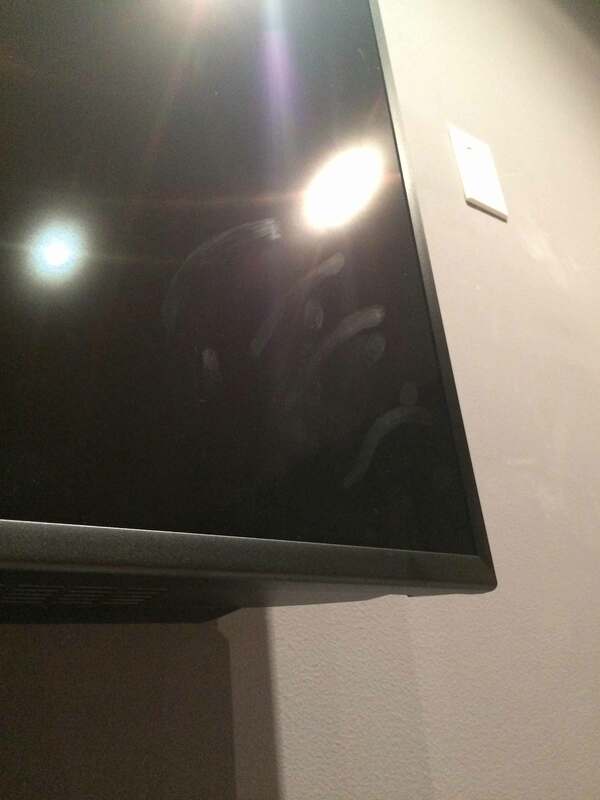 Find out how to clean hand smears and finger prints from your HDTV screen. 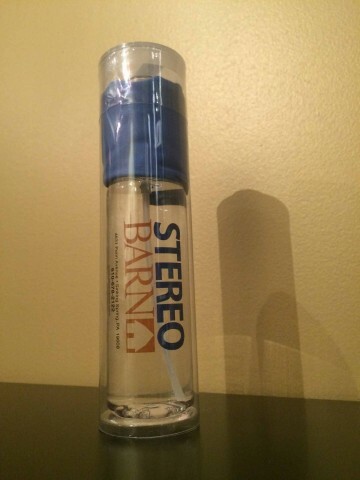 People ask us at Stereo Barn, what do you use to clean your screens? How do you remove greasy finger prints, kid smudges, carpet chemicals, and acidic airborne dust the safe way? We use the Stereo Barn Screen Kleen which is a cleaning spray and microfiber cloth system specially formulated for HDTVs, LCDs, plasmas, DLPs, even screens for cameras, computers, tablets, and phones. Most screens for the electronics you use are made of polycarbonate — plastic. These devices use plastic or an anti-reflective plastic coating to protect the technology behind the screen. Polycarbonate screens and anti-reflective coatings oxidize over time. You can tell because the edges of your screen start to look grey, which means you’re seeing the beginning stages of oxidation. To prevent this graying and hazing over time, clean your screens. Using glass cleaners and other household cleaning products will permanently destroy your HDTV screen. Without thinking, people are using products that are specifically made for cleaning glass, not plastic. These cleaners contain chemicals and additives that destroy plastic and anti reflective coatings on HDTVs. 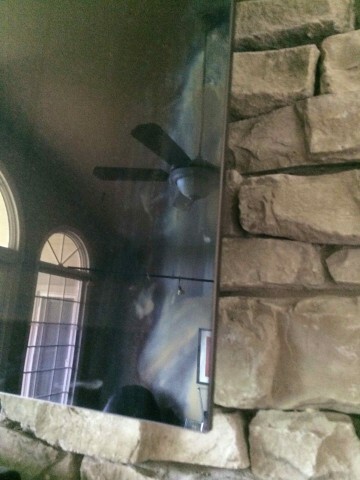 Even plasmas have a glass screen and should not be cleaned with glass cleaner because of the anti reflective coating. WARNING: Use of products containing ammonia and phosphates on LCD, DLP, and plasma screens are prohibited and can void a manufacturer’s warranty. Screen Kleen is a combination of proprietary fluid and micro fiber cloth. The fluid is pH neutral and leaves no residue. It will not harm polycarbonate or LCD screens. Screen Kleen contains no alcohol and no ammonia. The special micro fiber cloth is the key to making this cleaning system work. This new ultra-fine double-density composition absorbs water and safely lifts oil, smudges, and fingerprints faster without removing special screen coatings. First, turn the power off on your HDTV. Next, spray your micro fiber cloth with the pH neutral fluid. Spray the cloth at least 4 or 5 times depending on how big your screen is. To preserve your anti-glare coating, always wipe your screen vertically (up and down), never in circles or horizontally. Wash the micro fiber cloth regularly. Your micro fiber cloth is a special, proprietary cloth. Wash often to remove the collection of impurities it has removed from your screens. Immerse the cloth in warm water and dish soap, wring it out and hang it up to dry. Stereo Barn Screen Kleen with micro fiber cloth. Stereo Barn is an authorized dealer of Screen Kleen products.